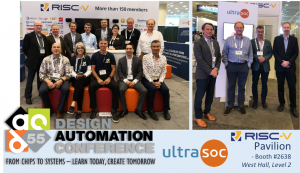 UltraSoC showed off all of its latest developments on the RISC-V Foundation pavilion at the 55th Design Automation Conference, which took place in San Francisco from 24th to 28th June 2018. UltraSoC offered demonstrations of its technology on its booth within the RISC-V Foundation pavilion (Booth #2638). We also announced an exciting new partnership in the development tools space with Imperas, as well as showcased our recent RISC-V partnership agreements with Andes Technology and Esperanto. 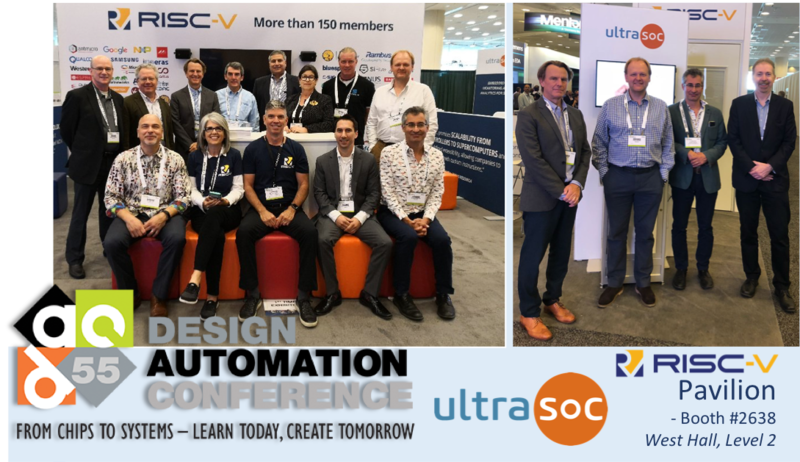 UltraSoC team members attending the show included our CEO Rupert Baines, and Randy Fish, recently appointed VP of Business Development. Randy delivered our presentation – “It’s not just the core, it’s the system: processor trace in a holistic world” – at the RISC-V Booth, at 4pm on Monday 25 June, and at 12noon on Tuesday 26. Please click here to download the presentation via our resources area. Following significant progress and developments in the RISC-V ecosystem, UltraSoC has made two significant announcements in recent months demonstrating the fuller potential of RISC-V: Andes selecting UltraSoC for its RISC-V CPU IP for Artificial Intelligence (AI) and computer vision applications; and Esperanto partnering with UltraSoC to help design its AI Supercomputer on a chip, with thousands of RISC-V cores on a single device. We had a busy time at the show talking about our exciting projects, and how UltraSoC can help provide embedded insights into your chip design. And remember that UltraSoC is platform agnostic: you don’t have to be focused on RISC-V to benefit from UltraSoC’s on-chip monitoring and intelligent analytics. DAC is the premier conference devoted to the design and automation of electronic systems (EDA), embedded systems and software (ESS), and intellectual property (IP). For more information about the event, please visit the event website.